We at TUVsw having extensive experience on providing consistent, logical and practical approach for comprehensive service to the amusement and leisure industry. TUVsw embraces all aspects of ride design analysis, procurement, initial and independent examination, Testing, NDT/ NDE and certification of all types of amusement rides/ devices and attractions including theme parks, water park, adventure pools and fairgrounds. We provide professional service for ride/device operators with all necessary inspections and assessments to help them achieve maximum safety in accordance with standard requirement/ code of practice. 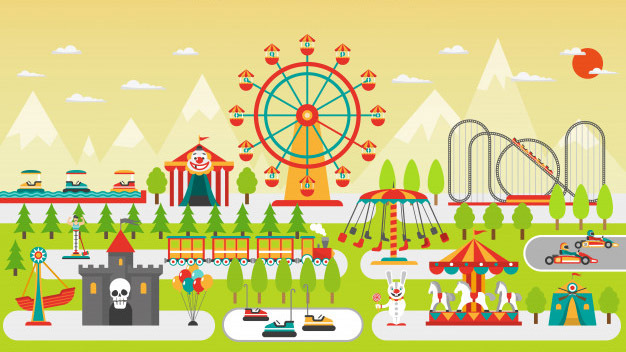 TUVsw presence will ensure safety of water park and amusement parks for existing amusement rides/devices according to BS EN 13814, ISO 17842-1,2 and 3 and ASTM standards. The safety of playground equipment and installations for public or domestic use are governed by stringent national and international standards and guidelines. Highly Experienced Team of Professionals. We provide the inspection services necessary to ensure your rides comply to quality and safety regulations. Talk with one of our experts!